Four days after the departure of Eric Musselman, Nevada has officially hired Steve Alford as the new head basketball coach. 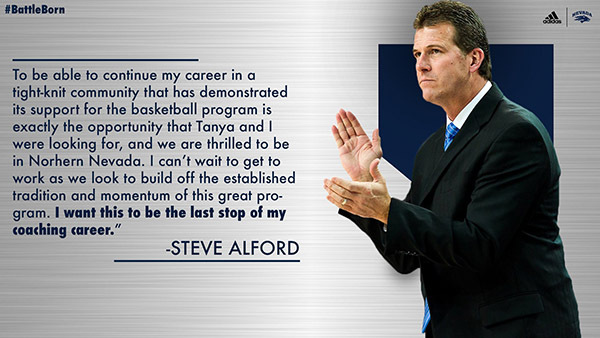 “To be able to continue my career in a tight-knit community that has demonstrated its support for the basketball program is exactly the opportunity that Tanya and I were looking for, and we are thrilled to be in Northern Nevada,” Alford said in a press release. Alford, 54, has a 509-269 record over 24 years as a head coach. He’s made 11 career NCAA Tournament appearances, but has failed to reach the Elite Eight. UCLA fired Alford on Dec. 31, 2018. The Bruins made it to the NCAA Tournament four times in six years in the Alford era. “There is no better coach than Steve Alford to continue the rise of Nevada basketball and we are excited for the next chapter,” Nevada athletic director Doug Knuth said in a press release. 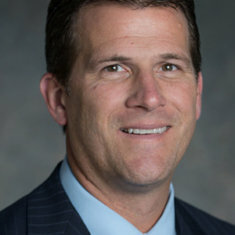 Alford has experience in the Mountain West Conference. He posted a 155-52 record over six years with New Mexico. The Lobos won back-to-back regular conference titles in 2009-10 and 2012-13. Along with New Mexico, Alford has brief stints with Missouri State of the Missouri Valley Conference and Iowa of the Big 10 Conference. Alford has agreed to a reported 10-year contract with the Nevada Wolf Pack. The terms of the 10-year deal have not yet been released. Musselman reportedly signed a five-year contract with a base salary of $2.5 million a year deal with Arkansas. Nevada will hold an introductory press conference at Lawlor Events Center Friday at 2 p.m. The event is open and free to the public. Fans enter at gate 22. Related story: Nevada fans react to Musselman’s exit. Incredibly enough, the following season, Indiana, under Coach Knight, and still with a great player, Steve Alford, won a national basketball championship…. Great coverage. After Muss lost control of his team at the end of last season its great to see a fresh face and a grown up in place!